WR/OC's a young label that believe in original spirits, fresh blood and hip hop. Their festival is bringing together local and international artists for a night of crazy commotion. 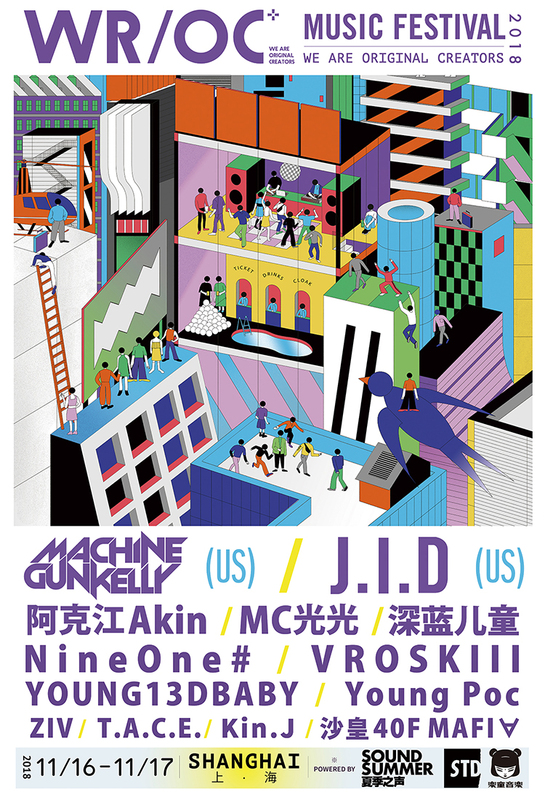 For Day 2 of the two-day festival, they've got the rat-tat-tat-tatted Machine Gun Kelly, who's been spitting fire since he was 16. You may know him as the one that took a shot at Eminem in "Rap Devil." Hailing from Cleveland, he's released three studio albums, the latest being "Bloom" from 2017. 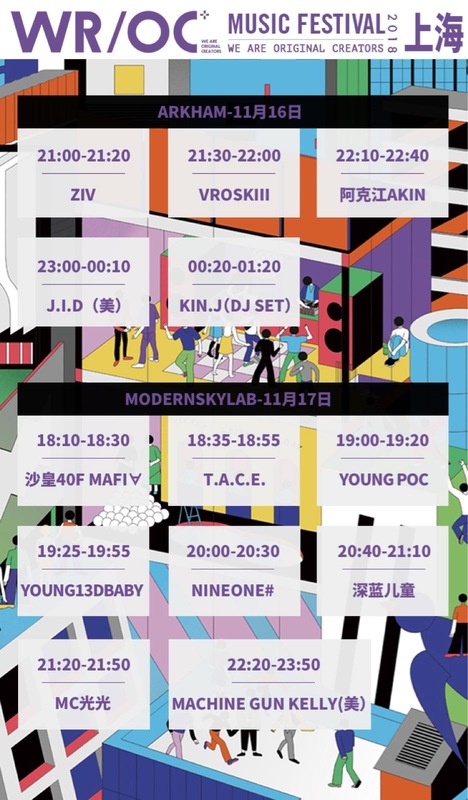 Sharing the stage for a night packed-out with talent are MC光光, 深蓝儿童 (Indigo Children), NINEONE#, YOUNG13DBABY, Young Poc, T.A.C.E., 沙皇40F, MAFI∀, and MC天天. Related: WR/OC Music Festival feat. J.I.D.